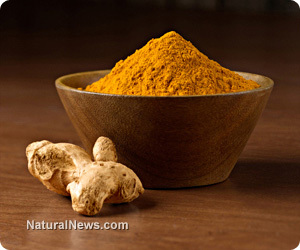 (NaturalNews) You may have already heard about the many amazing healing properties of the spice turmeric, which is also sometimes referred to as curcumin. But did you know that literally thousands of published, peer-reviewed studies conducted and compiled over the years lend credence to the notion that turmeric works the same as, or even better than, at least 14 pharmaceutical drugs currently on the market? 1) Statin drugs for cholesterol. Popular cholesterol drugs like Lipitor (atorvastatin calcium) and Crestor (rosuvastatin) are completely unnecessary when taking standardized doses of curcuminoids extracted from turmeric, according to a 2008 study published in the journal Drugs in R & D. Researchers found that in patients with endothelial dysfunction, the underlying blood vessel pathology that leads to atherosclerosis, turmeric extract worked at least as good as the drugs at reducing inflammation and relieving oxidative stress in type 2 diabetics. 2) Corticosteroid drugs. Millions of people receive steroid injections every year to treat the inflammation associated with conditions like arthritis and even cancer. But a 1999 study published in the journal Phytotherapy Research found that turmeric's primary antioxidant, curcumin, works just as well as steroid medications in the treatment of inflammatory eye disease. Several studies released in the years following found similar benefits for other inflammatory diseases commonly treated with steroids. 3) Antidepressants. Besides their copious side effects, antidepressant drugs like Prozac (fluoxetine) and Paxil (paroxetine) are extremely risky, as they can actually make depression symptoms worse for some people. But why even bother to use them when turmeric has been shown to effectively reduce depressive behavior the same or even better than these dangerous drugs? 4) Blood thinners. People at high risk of heart attack or stroke, or who require blood-thinning drugs to avoid these and other cardiovascular events, may simply be able to take turmeric instead. This suggestion is based on a 1986 study published in the journal Arzneimittelforschung, which found that curcumin has similar anti-platelet and prostacyclin modulating effects as aspirin, the blood-thinning drug of choice for many conventional doctors. 5) Anti-inflammatory drugs. Aspirin is also commonly prescribed for other inflammatory conditions, as is ibuprofen, naproxen sodium, and a number of other pain pills. But these may be unnecessary as turmeric was shown in a 2004 study published in the journal Oncogene to exert similar anti-inflammatory and anti-proliferative activity, particularly against cancer cells, as these drugs. 6) Chemotherapy drugs. The cancer industry would have us all believe that chemotherapy drugs are one of the few methods we have at our disposal to treat cancer. But a 2007 study published in the International Journal of Cancer found that curcumin works just as well as oxaliplatin (Eloxatin) at treating colorectal cancer. 7) Diabetes drugs. Not only is turmeric a viable contender in treating diabetes, a 2009 study published in the journal Biochemistry and Biophysical Research Community found that it works up to 100,000 times better than the popular diabetes drug Metformin at increasing glucose uptake. Turmeric also helps suppress glucose production in the liver at least as well as the most popular diabetes drugs on the market today.